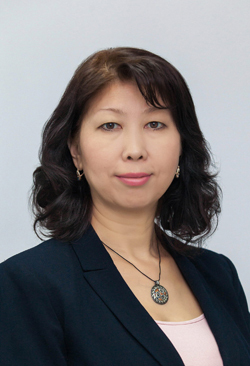 The Trademark Law in Kazakhstan was amended in July 2018 to introduce certain changes to the recognition of well-known trademarks and to their consequent protection. A well-known trademark has the same level of protection as a “regular” registered trademark, but its protection extends to all goods and services, irrespective of the goods or services in relation to which it has gained its popularity and thus become well known. Once a trademark is recognized as well known, it is possible to prevent or terminate registration of identical and confusingly similar trademarks in relation to any goods or services within five years from the date of registration of the later trademark; and, unlike in many other jurisdictions, it is not necessary to demonstrate that the use without due cause of the trademark applied for would take unfair advantage of, or be detrimental to, the distinctive character or the repute of the earlier trademark. Prior registrations of trademarks that are identical or similar to well-known trademarks can be canceled provided their use may mislead consumers in relation to the commercial origin of the products. The scope of rights of the holder of a well-known trademark is defined more precisely. Before adoption of the above amendments to the Trademark Law, the holders of “regular” trademarks which were identical or similar to a well-known mark had the right to use their trademarks for up to seven years after recognition of the well-known mark. Under the new legislation, the holders have no such opportunity, and a trademark registration can be canceled immediately on the condition that use of the identical or similar trademark is liable to mislead consumers in relation to the commercial origin of the products. For a request to recognize a trademark as well known, it is necessary to obtain the results of an opinion poll conducted among at least 800 people in eight cities of Kazakhstan. Presenting other means of proof is highly recommended as it helps in the evaluation of whether a trademark is well known. The term for examining and verifying all relevant documents is shortened by about three months, and now the whole process should take about six months. The date from which the validity term of a well-known trademark is calculated has been determined: the application filing date is now counted as the beginning of the validity term. In general, the amendments strengthen the rights for a well-known trademark and significantly shorten the time frame for obtaining well-known status; however, expenses related to obtaining well-known status have slightly increased.